The Bay Area is home to many beautiful cities and towns. The pristine weather combined with majestic architecture and unbeatable natural settings make the Bay Area one of the most desirable locations in the entire United States. Just across the Bay from San Francisco is a town emblematic of all good things the Bay Area has to offer: Sausalito. A town directly on the water this small Bay side enclave is filled with houseboats, artists and of course impeccable views on nearly every street corner. A must see destination for all visitors to the Bay Area, Sausalito has many treasures worth exploring. For one, it’s pristine location on the North end of the Golden Gate Bridge gives it world class views of a world famous bridge. It’s ungated marina draws the attention of many visitors who are able to really see the Bay up close and personal. With more than four hundred houseboats of many different sizes and shapes along the north end of town, Sausalito really has a quaint and cozy feel no matter where you are. The wide range of public parks and beaches are also worth mentioning for on clear days there is nothing more enjoyable than watching the water from Gabrielson Memorial Park or Schoonmaker Beach. Sausalito really is worth a visit whether you are a Bay Area native or visiting for the first time. Here at Apex Limousine Transportation we are proud to offer our limousine transportation services to residents and visitors of Sausalito alike. Our fleet of SUVs, limousines and sedans are driven by professional and committed limo drivers who work hard to ensure that every moment you are with us is one of relaxation and enjoyment. Their knowledge of both Sausalito and the Bay Area in general make them a step above other limo drivers – for they never get lost and always deliver you where you need or want to be on time. Our limousine services are varied and diverse and this makes our limo company perfect for nearly any occasion. We are popular with Bay Area couples for wedding day limousine services. 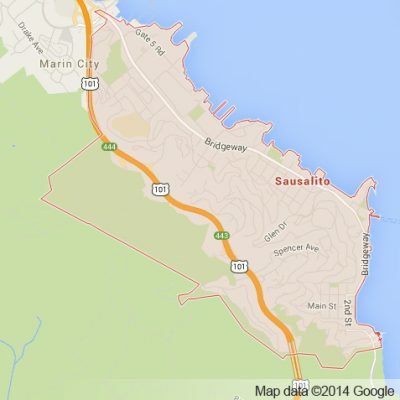 Sausalito is an especially popular destination for having weddings. We work directly with couples, families and wedding planners to ensure that we are providing proper services for your Sausalito wedding day. For those residents of Sausalito who need a pick up or drop off at SFO, OAK or SJC airports, we are leaders in Bay Area airport transfers. If you are looking to explore the Napa Valley we offer full Napa Valley Wine Tours. Our knowledge and experience in the Napa Valley help us stand out from among the rest. Our beautiful vehicles compliment the lush valleys and rolling hills of this incredible corner of Northern California. We can help you customize your Napa Valley wine tour adventure to meet the needs and tastes of you and your party. Whether interested in one of the aforementioned services or want luxury limousine transportation to San Francisco, Oakland, a sporting event, Junior Prom, Senior Ball or a concert Apex is available for any occasion no matter the size. We pride ourselves on making your experiences something more than just a simple outing or a ride from point a to point b. We turn the act of transportation into a luxurious experience you will never forget. So please next time you need limo transportation give Apex a call. We promise you will not regret it. Together we can turn that ride into a memory. Please call us for car service all inclusive total for Sausalito to/from Napa Valley transfer.